Amelia Ethel Tkachuk (nee Furkalo) was born September 18, 1944 in Gilbert Plains, she passed away March 25, 2019 at the age of 74 at the St. Boniface Hospital, with family by her side. She was raised on the family farm in Gilbert Plains and attended the Valley River School in Grandview. At an early age she worked at various restaurants in Gilbert Plains and Dauphin, and later as a taxi dispatcher and a guard at the jail. She enjoyed being around people, gardening, cooking and always baking. Most of all she loved watching her granddaughter Ukrainian dance and play her fiddle. She loved listening to music, family get togethers and collecting Ukrainian ceramics. She met the love of her life Adam Tkachuk in 1970. They were married in 1971. At that time Adam built the house that Amelia resided in until her passing. They enjoyed their weekends away at the family farm in Cowan, where they built a house. They enjoyed picking blueberries and mushrooms, also visiting and playing cards with family and friends. Amelia was predeceased by her husband Adam in 2001; her in laws George and Mary Tkachuk; Eva and Tom Porteus; her parents Bill and Nellie Furkalo; sister and brother in law Rose and Andy Kuzyk; brother in law Cornelius Chomenchuk; god daughter Lorraine Munroe; nephew Mervin Chomenchuk; niece Chrissy Perih. She is survived by her son Terry; daughters Debbie (Kelly); and Kim (Kevin) Noah; and her only special granddaughter Carlie, the sparkle of her eye; her sisters Carol Chomenchuk; Dianne Rinn, partner Sid; Debbie and Jerry Watson; many nieces, nephews, aunts, uncles and cousins. Prayers were offered on Friday, March 29, 2019 at 7:00 pm from the Sneath-Strilchuk Family Care Centre in Dauphin. 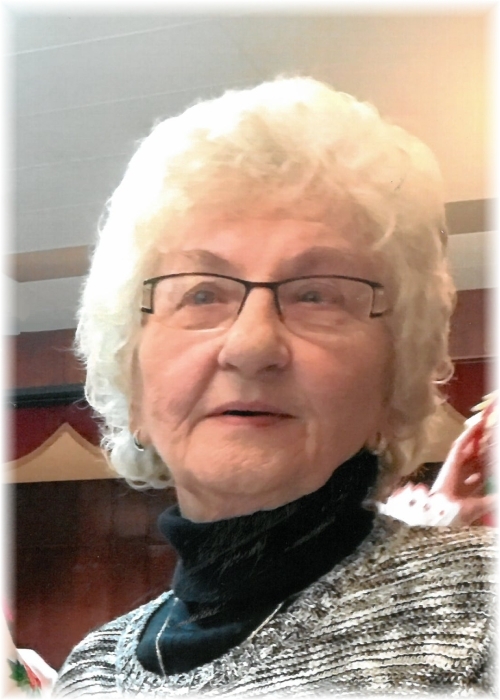 A Funeral Service was held for Amelia on Saturday, March 30, 2019 at 10:00 am from the Sneath-Strilchuk Family Care Centre in Dauphin with Rev. Father Brent Kuzyk officiating. Should friends so desire, donations in memory of Amelia may be made to Heart & Stroke Foundation of Manitoba.